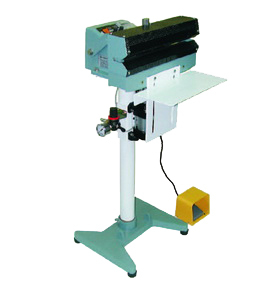 Direct or constant heat sealers seal all types of thermoplastic packaging material, but especially ideal for thicker material such as coated aluminum foil, Kraft paper, cellophane, mylar, coated PP. 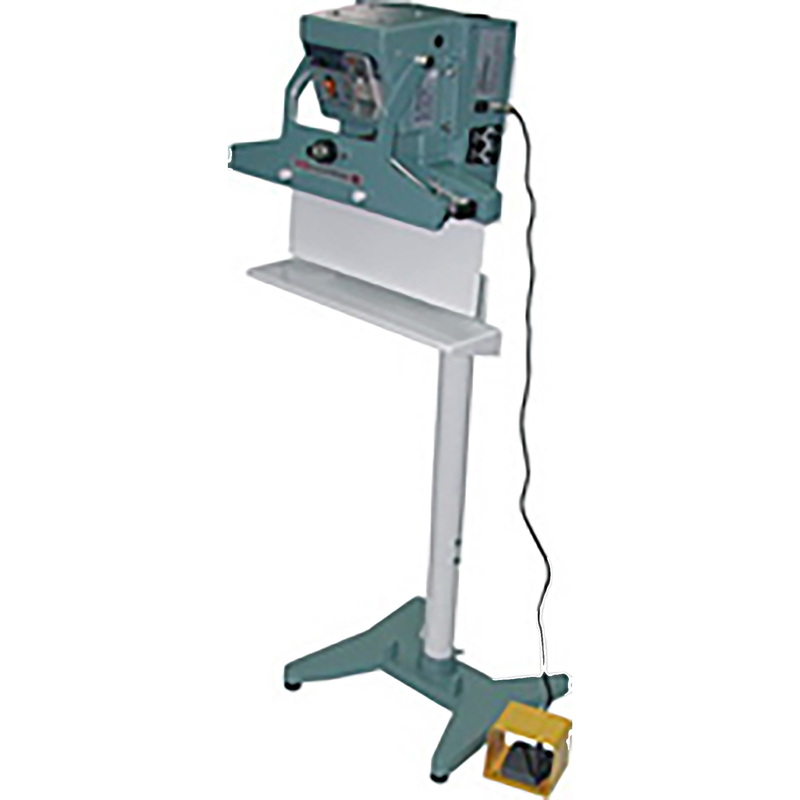 Direct Heat Sealers are available in hand operated models, floor mounted models, floor models in a vertical configuration, floor mounted pneumatically operated models and automatic models. 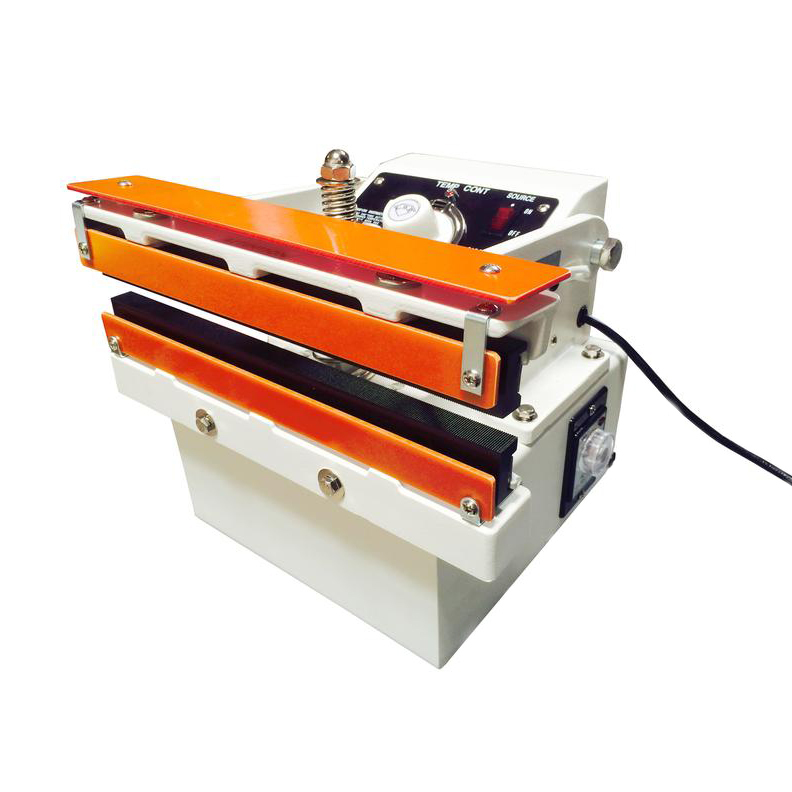 Direct or constant heat sealers seal all types of thermoplastic packaging material, but especially ideal for thicker material such as coated aluminum foil, Kraft paper, cellophane, mylar, coated PP. 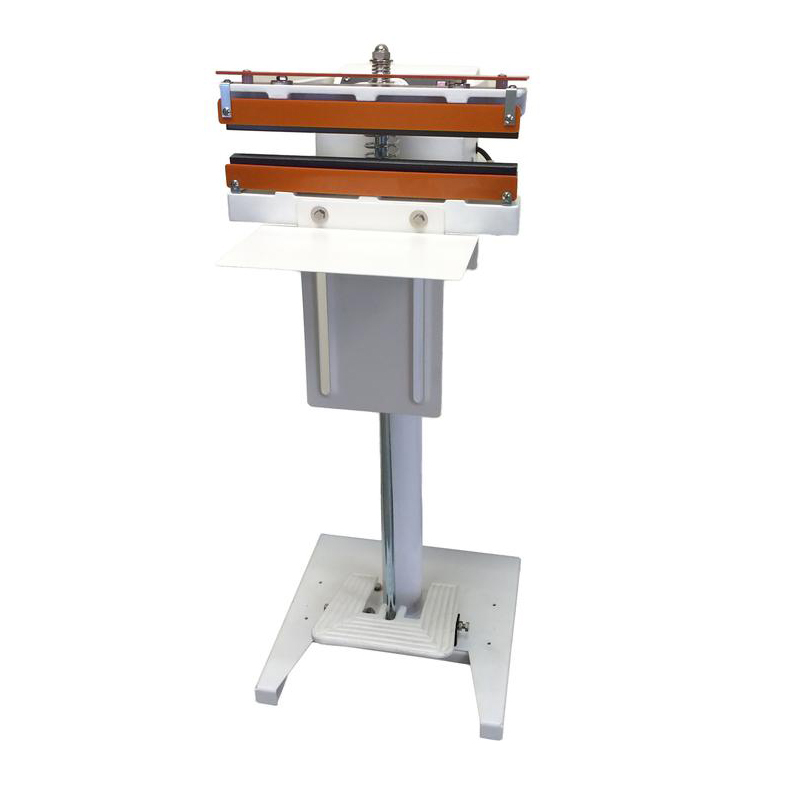 Depending on the model of the sealer, material up to 16" wide and 20 mil thick can be sealed. The meshed seal width is usually 15mm. Equipped with a thermostat or an electronic thermo controller that accurately controls the temperature from 30_-550_ F (0_-300_ C). Both jaws are heated simultaneously resulting in better heat penetration to seal thicker material. Most includes adjustable work table.